Stick Brooklyn Bicycle Co.'s Rear Carrier on your Franklin, Bedford, or other Brooklyn Bicycle Co. steed and neither you nor your cargo will know how you ever lived without it. 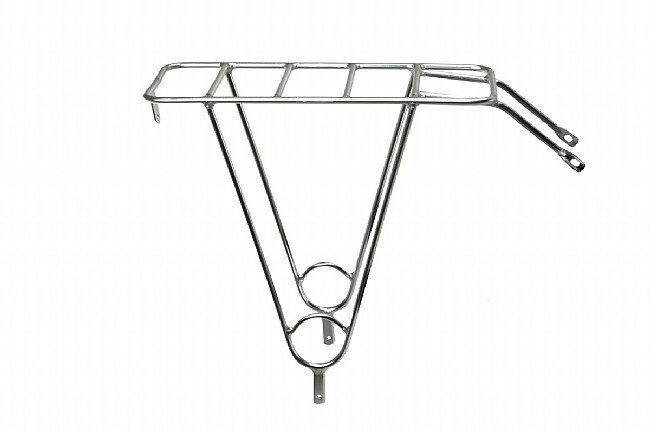 It's made from lightweight alloy with an elegant polished finish that makes this sturdy rack stand out while protecting it from the elements. 15 kg weight capacity. Designed to fit Brooklyn Bicycle Co. bicycles with seatstay braze-ons.